Terryl Lynn Givens is professor of literature and religion at the University of Richmond, where he holds the James A. Bostwick Chair in English. He teaches courses in nineteenth-century studies and literary theory. He is best known, however, for his publications on Mormon history, culture, and theology, most of which he has published with the prestigious Oxford University Press. He is a member of The Church of Jesus Christ of Latter-day Saints. 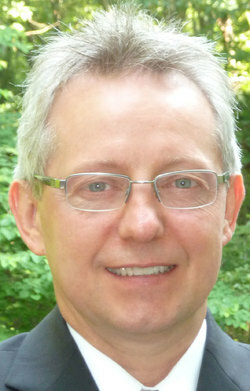 Givens was born in upstate New York in 1957, but was reared in Arizona and Virginia. He served a mission for the LDS Church in Brazil. He earned his bachelor’s degree in comparative literature at Brigham Young University and did graduate work at Cornell. He received his PhD in comparative literature from the University of North Carolina, Chapel Hill. He started writing books when his father, a book collector, challenged him to explore what he thought were the unusual depictions of Mormonism in the nineteenth century. His research led him to write Viper on the Hearth. Generally, his research emphasizes the intersection of literary and religious studies, and more recently, religious themes across time and the western religious and philosophical traditions. Givens and his wife, Fiona, have six children. She collaborated with him on three books. This page was last edited on 21 September 2017, at 19:57.